Award theOval Poker Resin Awards at your next poker tournament! 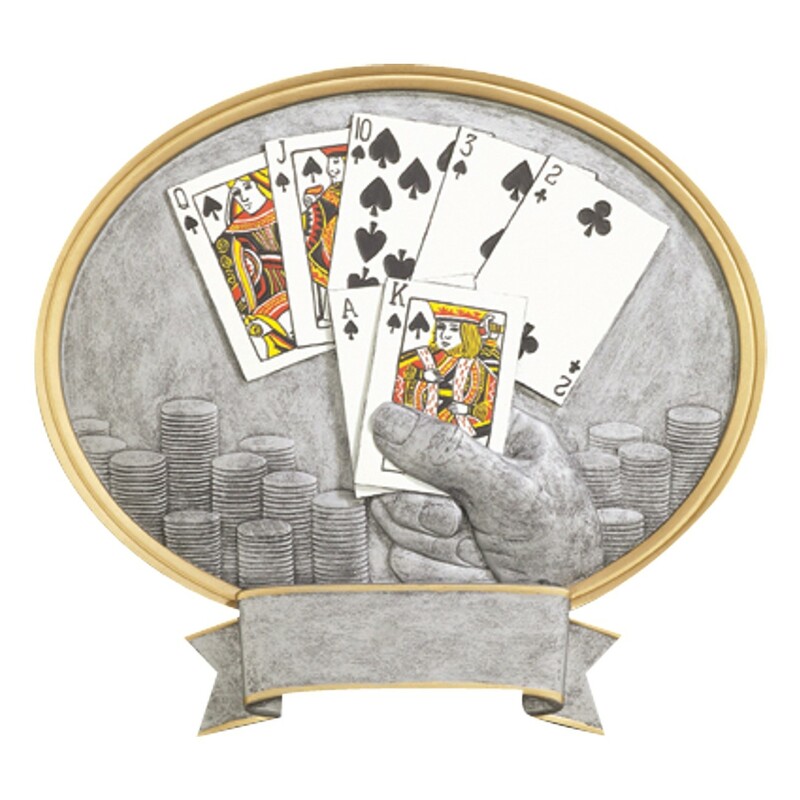 These unique awards depict an ace-high straight flush poker hand, painted in full color with intricate details. Made of pewter colored resin with gold trim, they can be either displayed on a desk by attaching an included metal rod or hung on a wall. Awards are approximately 8" tall by 8-1/2" wide.